As a founding member of the Centre for Research in Telerehabilitation (CRT) Annie been instrumental in the development and evaluation of a range of telerehabilitation applications for use in speech-language pathology. Her doctoral thesis was the first in the field of telerehabilitation in speech pathology. Annie contributed to the development of the telerehabilitation system eHAB™ which was subsequently commercialised through Uniquest. 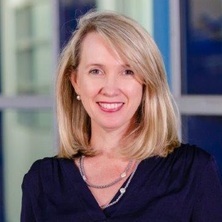 Annie is now spearheading the development of an asynchronous telehealth system for use in speech pathology, with trials occurring in a number of research projects. Annie's national reputation in the field of telehealth and speech pathology has been firmly established through her invited presentations at conferences, collaborations with researchers at other universities, co-authoring the Speech Pathology Australia Position Statement on Telepractice (telehealth), conducting and publishing a national survey of telehealth practice in speech pathology and the presentation of her work at various national conferences, including the NHMRC Symposium: Research for a Health Future in 2011. My major research themes are the development and implementation evaluation of telerehabilitation applications in speech-language pathology and more broadly in allied health. Annie is Australia’s foremost aphasia telerehabilitation researcher (Telerehabilitation AND Aphasia: Web of Science 13/02/2017). She has published 1 book chapter (invited), 47 journal articles (1 invited) and 16 conference papers. Annie's research has been published in the highest quality journals in the fields of telehealth (e.g., J Telemed Telecare), speech pathology (e.g., International Journal of Speech-Language Pathology) and neuroscience (Frontiers in Human Neuroscience). According to Thomson Reuters Web of Science citation database (2017), Annie is joint #3 ranked scientist in the world for the total number of publications in the field of telerehabilitation and speech pathology, preceded only by her colleagues Russell and Theodoros. Annie has an international reputation having consulted for the Scottish Centre for Telehealth on the implementation of telerehabilitation services across Scotland and presenting her work at international conferences. She was awarded best presentation at the Canadian Society of Telehealth Annual Conference in 2007 and a Rising Star Award at the Parkinson's Australia National Conference in 2012. Dr Hill has been invited to present her research in the USA (2015), Canada (2015), Denmark (2016), Italy (2019) and Finland (2019). Annie has a strong record of applying for research funding. Annie has obtained over $3.3M in competitive research grants and scholarship funding in last 5 years, including a NHMRC Project Grant (#1129347), NHMRC Partnership Grant (#1057047) and HEARing CRC. She has received funding support from the Stroke foundation including the prestigious Fostering Future Leader Grant in 2015. She has also successfully obtained industry funding through Queensland Health Research Grants ($258,852). She is the recipient of a highly competitive UQ Early Career Researcher Grant for her work on an asynchronous telerehabilitation platform for speech pathology. Annie has been awarded the SHRS Award for Research Excellence Academic Level A in 2014, 2015, 2016 and the SHRS Research Translation Award in 2018. Annie has supervised 3 PhDs to completion and currently supervises 4 PhD students. Two of her students have won multiple awards (Wall: Best Presentation Award at three international conferences: SFT 2015; 2 x Dyphagia Research Society 2015; Burns: RBWH Research Medal 2016 and QuARRIE award 2016, Metro North Research Award 2016 and Staff Excellence Award 2015). She has supervised 13 honours students and 8 graduate entry students to completion (first class). One PhD and three honours students received project funding from the Stroke Foundation. Annie also provides mentorship to postdoctoral researchers and PhD students within the School of Health and Rehabilitation Sciences, CRE in Telehealth and Aphasia Centre for Research Excellence. Feasibility and efficacy of delivering an intensive comprehensive aphasia program (ICAP) directly into the home via telerehabilitation. This program of research will require the translation of an in-person delivered intensive comprehensive aphasia program (ICAP) into telerehabilitation delivery directly into the homes of people with aphasia. Evaluation will encompass communication and quality of life outcomes and a cost analysis. Process evaluation of delivering an intensive comprehensive aphasia program (ICAP) in person and via telerehabilitation. A mixed methods program of research. This mixed methods program of research will determine the access, satisfaction, and implementation barriers and facilitators for delivering an intensive comprehensive aphasia program (ICAP) via telerehabilitation compared to delivery in-person from the perspective of all participants and service providers. Feasibility of implementing asynchronous telerehabilitation into aphasia rehabilitation. Mixed methods, multi stakeholder perspective program of research. This is a mixed methods, multi-stakeholder perspective program of research which seeks to determine the feasibility of implementing an asynchronous telerehabilitation model of care into aphasia rehabilitation. Evaluation will involve communication and quality of life outcomes, service level data and interview data. Hill, Anne J. and Miller, Lauren E. (2012) A survey of the clinical use of telehealth in speech-language pathology across Australia. Journal of Clinical Practice in Speech-Language Pathology, 14 3: 110-117. Telerehabilitation in Scotland: Current initiatives and recommendations for future development. Hill, Annie J. (2017). Acceptability and effectiveness of asynchronous telerehabilitation in chronic aphasia. In: International Journal of Stroke. , , (12-12). .
Anne Hill (2008). Assessment of Acquired Neurogenic Communication Disorders in Adults using a Telerehabilitation Application PhD Thesis, School of Health & Rehabilitation Sciences, The University of Queensland.